These buttons are only links. 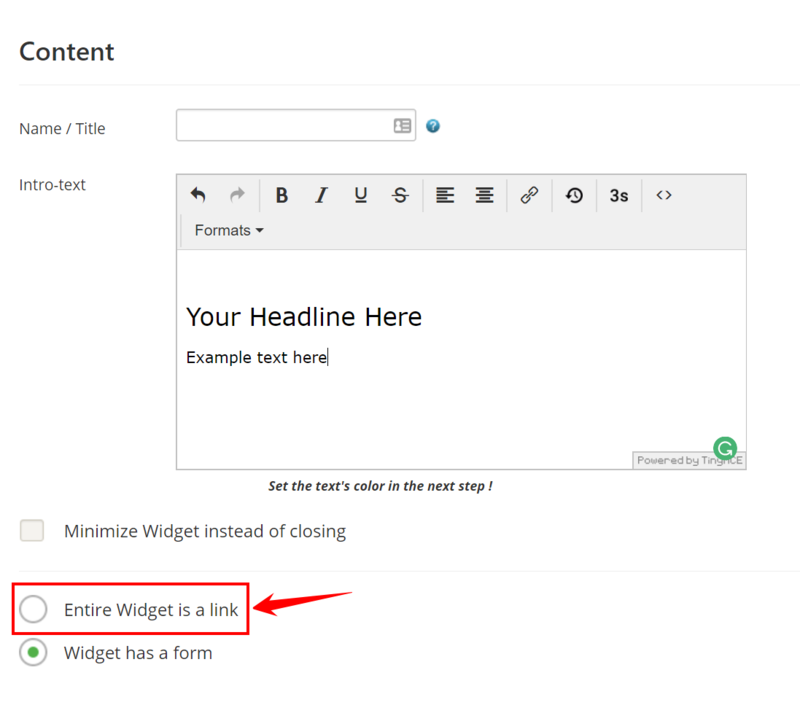 This means you cannot make a form appear inside your widget when a button is clicked. Navigate to Publish. Create a new widget or edit an existing one. 1. 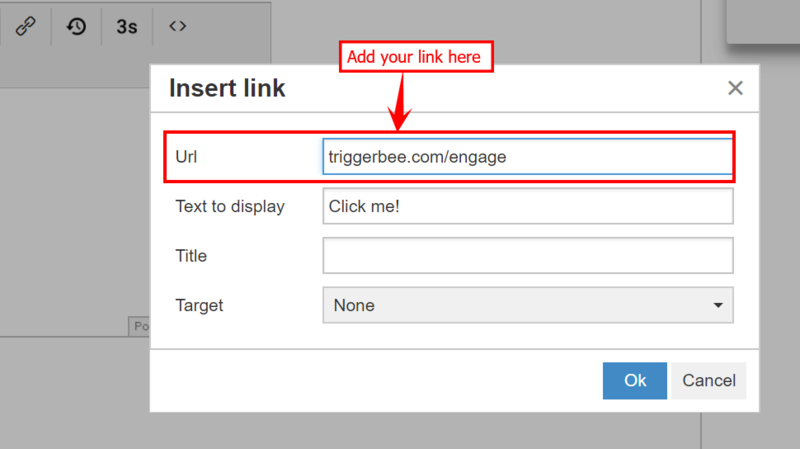 In the first step of the wizard, find the radio button that says Entire Widget is a link, and click on it! 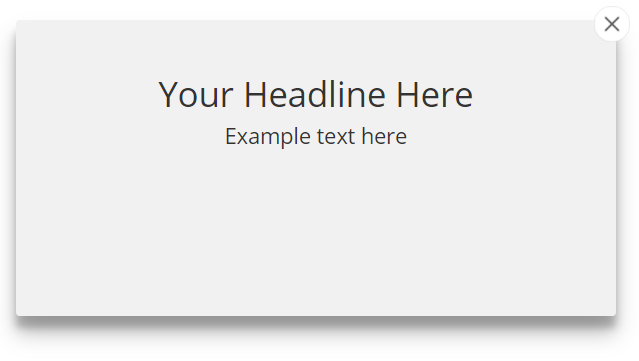 Don't forget to add an address to a page on your website. 2. 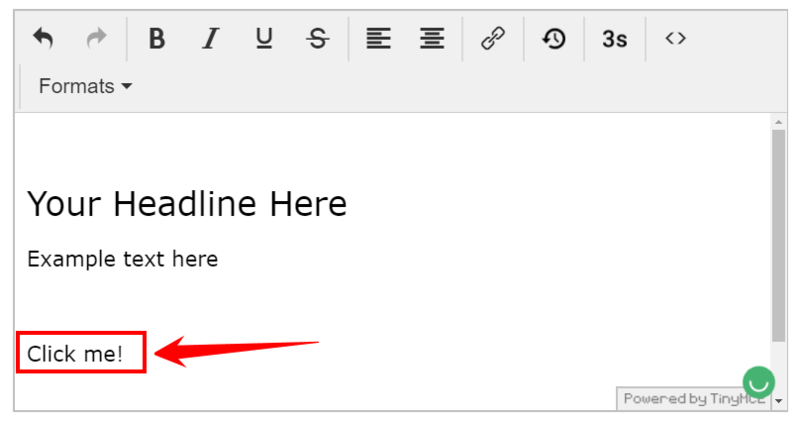 After you've added your page address, go back to the text editor and add a text that you will turn into a button. 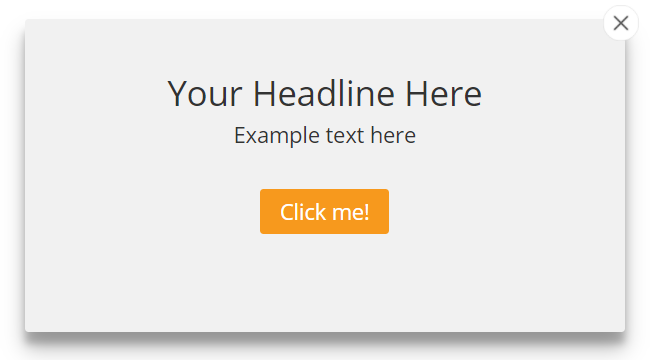 For the sake of this example we will write "Click me", but you can write anything you'd like. 3. 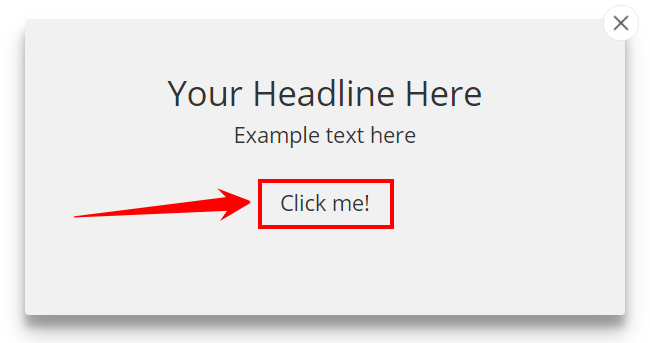 Highlight the text you want to turn into a button, then click on the link-icon and add a link in the popup that appears. Click on OK when you're done. 4. 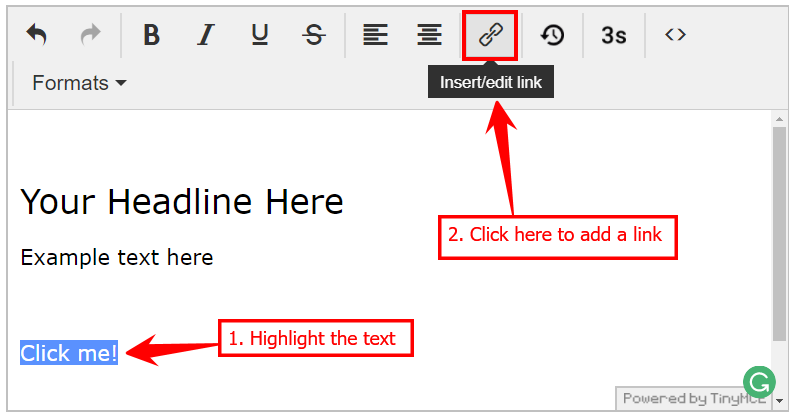 Highlight your link, and then click on Formats. 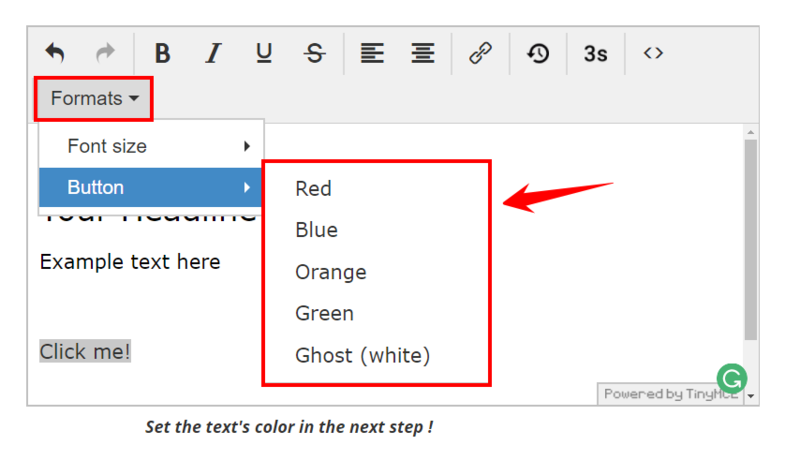 Hover your cursor over Buttons and choose a color for your button. You're done! Now you have a clickable button in your widget!